Home / Bruce R. Hoefer, Jr.
Bruce Hoefer has litigated maritime and general liability cases for over 30 years. 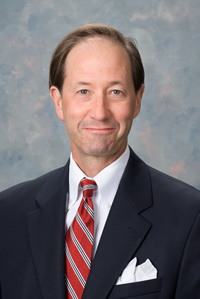 Mr. Hoefer earned his law degree from LSU Law Center and is admitted to practice before all Louisiana state and federal courts, the Fifth Circuit United States Court of Appeals, and the United States Supreme Court. He is also licensed to practice law in Texas. Mr. Hoefer’s specific areas of practice include oil field personal injury and death, maritime personal injury and death (Jones Act and Longshoremen’s Claims), indemnity and insurance coverage disputes, maritime and industry contracts, general casualty and liability, products liability and general commercial litigation, toxic torts, punitive damages. He is a member of the Maritime Law Association of the United States, Proctor, Maritime Legislation Committee, Maritime Personnel Committee; American Bar Association; Houston Mariners Club; Louisiana Association of Defense Counsel. He attended Jesuit High School in New Orleans.